First came boutique wineries, then craft microbreweries and now bourbon distilleries, the spirit industry is making a splash all over Hudson Valley. But there’s still one final frontier left to un-tap: Sake! Japan’s national beverage is a revered fermented rice drink and odds are good it’s been around a lot longer than all other spirits. In fact, it goes back several centuries, perhaps as early as 300 B.C. But, unlike wine, sake does not improve with age. It’s meant to be consumed immediately or within, at least, six months of making. Since November, the popular Asian hotspot Shogun (Delmar, NY) expanded their drink menu to include a fusion of sake. The restaurant’s signature drink can be ordered by bottle, single pour, large carafe or flights. 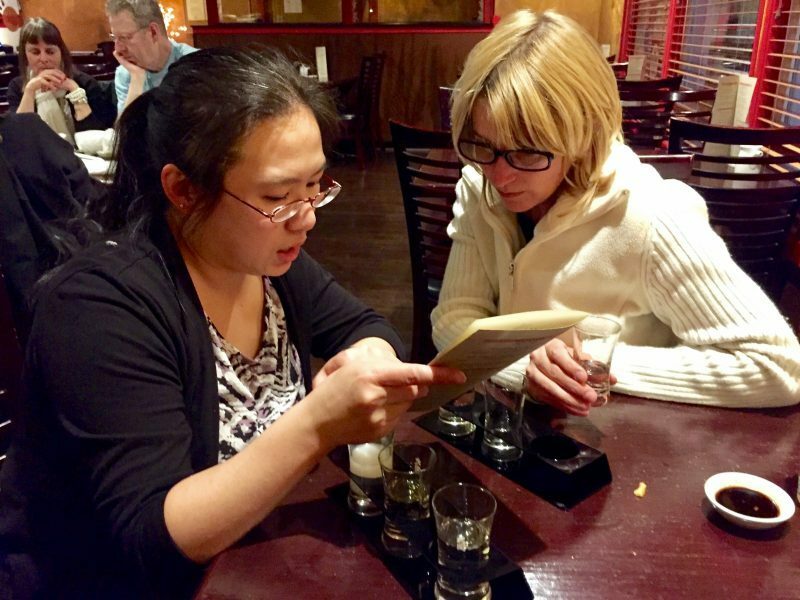 “Nothing pairs better with sushi than sake,” said Elisa Arteche, co-owner of Shogun restaurant in Delmar, NY. Elisa pushed a chair closer to our table to join us. I was elated. Elisa has become a familiar face. Every time we dine here, regardless of how busy she gets, she always makes a point of saying hello. The other night, near closing, her and husband Chef Jose Arteche introduced me to the traditional drink. Elisa prepared a flight of six samples, two house pours and four premium. I finished my raw spicy tuna and tempura shrimp moments earlier so I had plenty of food to absorb the high alcohol content. “This is wonderful!” I exclaimed, holding out my little glass for more. The samples included a variety of dry to sweet and lighter to richer acidity. It was easy to interpret from the provided Sake Meter Chart on the menu. Elisa went on to explain that in Japan sake is often served alongside a special ceremony. As I saw it, any day I survive a Trump administration was reason enough to clink glasses and kanpai (cheer). Sake can be warmed and sipped slowly but I enjoyed mine at room temperature and rather quickly, I might add. “Don’t worry, sake will not give you a hangover,” insisted Elisa. 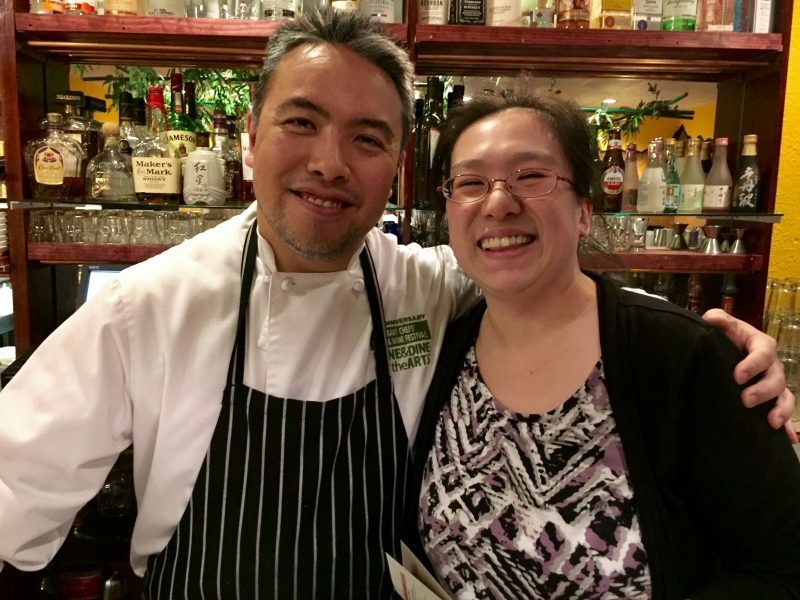 Chef Jose mentioned his excitement for growing his business with the uptick in sales of sake. The construction of a new sake brewery in Hyde Park is scheduled to open in 2019 and Jose already has a personal invite. 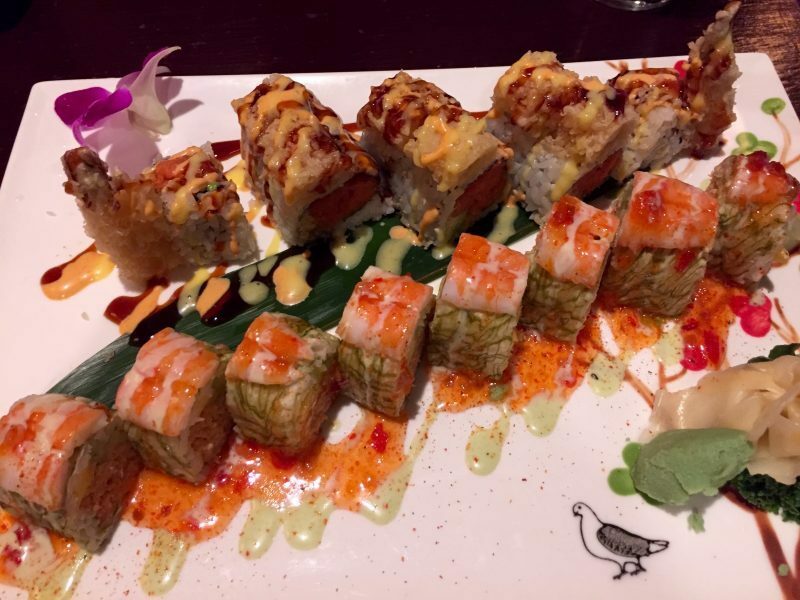 Before the facility opens, get yourself to Shogun and give it a try. Based on my experience, sake is going to be hot, hotter even than wasabi.